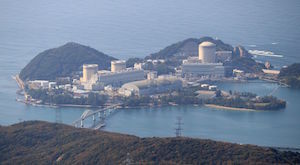 Japan’s Kansai Electric Power Company said on 4 February that the restart of three ageing reactors at its Takahama nuclear plant (units 1 and 2) and Mihama 3, both in Fukui Prefecture, will be postponed until at least later 2020 because it needs more time to meet safety standards. All three units are 780MWe (net) pressurised water reactors. Kansai was approved to extend the life of the reactors beyond the government-mandated 40-year operational life subject to necessary upgrades. The Takahama units were the first ageing reactors to be approved for life extension by the Nuclear Regulation Authority in June 2016. Life extension of the Mihama unit was approved in November 2016. Work at Takahama will be completed nine months later than initially planned, Kansai said, while work at the Mihama reactor is six months behind schedule. The earliest restart for the reactors will therefore be after June 2020. Work at Takahama 1&2 includes reinforcing the concrete wall surrounding the containment vessel of each unit and installing secondary domes. Work at Takahama 1 is now scheduled to be completed in May 2020, instead of this August 2019, and at unit 2 in January 2021, instead of March 2020. Kansai is also improving fire protection at both reactors by replacing fire-resistant cabling and installing fire protection sheeting, additional fire detectors and fire extinguishing facilities. The refuelling water tank is being replaced, and an anti-tornado wall is being built around the tank. The seawater intake facility at Takahama 2 is being relocated by excavating a new tunnel in the bedrock. An anti-tornado wall will also be built around the new seawater intake facility. The central control panels of both units are also being replaced. Takahama 1&2 began operating in 1974 and 1975. Work at Mihama 3 is mostly related to improving seismic resistance. Kansai is reinforcing the used fuel storage pool and replacing its fuel assembly rack. The internal structure of the reactor core will also be replaced and seismic resistance of the reactor containment vessel improved. Kansai said drilling work was taking longer than planned because the supporting bedrock was deeper than expected, and the work is now expected to be completed in July 2020, instead of January 2020. Other work involves improving fire protection: replacing old cables, installing fire protection panels, fire detectors and new fire extinguishing equipment. A higher tidal barrier is also being constructed. So far, nine of Japan's 39 operable reactors have cleared inspections confirming they meet Japan's new regulatory safety standards and have resumed operation. These are Kyushu's Sendai 1&2 and Genkai 3&4; Shikoku's Ikata 3; and Kansai's Takahama 3&4 and Ohi 3&4. Another 16 reactors have applied to restart.